Portsmouth, Virginia and S. H. Clark High School. Katherine was joined in matrimony on May 26, 1970 to the love of her life the late Leo Carr, Jr. She enjoyed spending time with family and friends. She was a hard-working mother. She loved to speak her mind. Everyone who met her loved her. She loved to laugh and joke. When she smiled, she lit up the room. Her beauty was timeless. 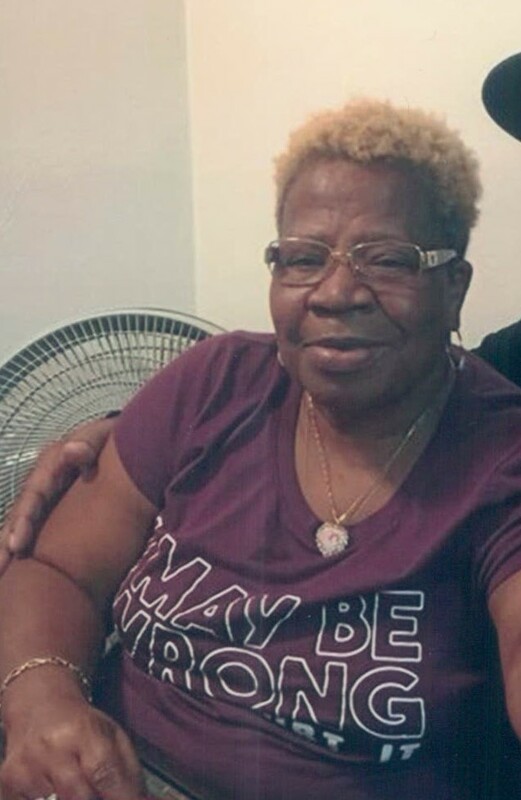 Her parents, Robert and Katherine; sisters, Edna Lee Hill, Lula Patricia Hinton, Everyln Ann Deloatch and husband, Leo Carr, Jr. preceded her in death. She leaves to cherish her memory her daughters, Kathy Wilson, Tracy Thomas, Chery Carr and Latricia Powell; one close niece, Monica Deloatch; one strong son, Leo Darnell Carr; one son-in-law, Barry Powell, Jr.; five grandchildren, Leshonna, Malakai, Omari, Armani and Cionna; one surviving sister, Marie Hyslop and a host of nieces, nephews, cousins and friends. Cheryl , to you, your sisters, brother and family, I loved your Mom..heaven has truly gained an Angel. She has always been the same ever since I met her in Ocean View when I worked at Ameristop/Capeview Food Mart. So glad I got to hug her everytime I saw her..you are missed..until we meet again my friend..love always!! To the family even in my mess Aunt Sue took the time to give an encouraging word to me. The Bible says one plant one waters but God gives the increase. I believe had not Aunt Sue planted encouraging words of wisdom in my life I would not be saved today. She loved unconditional like Jesus and she now shes wearing her crown. She will be greatly missed.